Ogilvie & co begin with premium honey sourced from western Australian beekeepers, and then infuse it with the deep, earthy aroma of truffle. This truly gourmet product makes the perfect gift, or can also be used at home for times when you want a touch of luxury. Try serving alongside a soft brie with crisp apple and walnuts as a superb cheese plate. Ogilvie & co source the finest blends of honey from western Australian bee keepers and then add their special touch to create a uniquely flavoured honey. 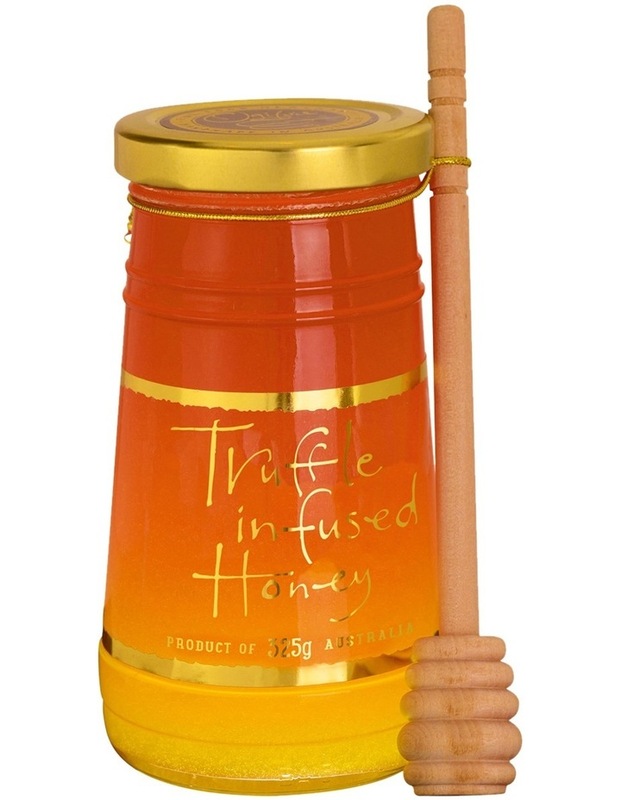 Pure Australian honey, truffle aroma. Manufactured on premises that handles peanuts, tree nuts and sesame seeds.